Time out while we sweep all these clovers off the court. I used to have these basketball shorts that were a baby blue color. I was wearing them around the hotel room in Vegas with Jon after a night of drinking and he asked if they were University of North Carolina shorts. In a raspy, groggy voice I said the only thing my dehydrated mind could muster, “Go Tar Heels.” Much to Jon’s delight. I have no affiliation or any real reason for liking UNC, but this was a wonderful moment and memory, so every year around this time I can’t help but root for them. I pick them to win it in every bracket I don’t fill out. So let the madness begin, or whatever. Go basketball? I don’t care. Yesterday was St. Patrick’s Day. I hope you celebrated accordingly. I don’t exactly know what that entails anymore, I just hope you had a good time doing whatever you were doing. If that involved alcohol, then good for you. Perhaps you had some Guinness or an Irish car bomb. Maybe you’re an adult and responsibly sipped whiskey because you have things to do today. After a night I spent vomiting off my roof thanks to Jameson, I approach Irish whiskey with some trepidation. But for the rest of you, here’s an informal ranking of Irish whiskeys. Sláinte! I have no idea if these next few links are interesting to anyone other than film dorks, but I love them. I understand that for most people movies are just a distraction for a couple of hours. But I like to know more about them. I like when people pick up on little things that can add more depth to a movie. Or give clear examples of why the Coens are some of the best filmmakers and why the possibility of their name could cause Bill Murray to sign on for Garfield. Then there’s just this great photo collection of sausage being made. Not literal sausage. It’s an idiom. It’s before and after of visual effects. After looking at number 3 I’ve decided for Halloween I’m just going to put the black make-up and dots on my face and go as Davy Jones from Pirates of the Caribbean. I’ll just leave it at that and not explain it any further. Then never get invited to Halloween again. Back before movies had sound, the audience was encouraged to “boo” and “hiss” at the villains. Something I wish we still did. I suppose we still kind of do this, only instead of movies we do it with sports. And we have expanded beyond “boo” and “hiss.” Sometimes too much so. It’s still best to keep it simple. But how do some of these chants start, gain momentum, and spread across the land? I had always assumed it was a Johnny Appleseed sort of thing. I, thought wrong. You know that air purifier looking thing that’s like Amazon’s version of Siri? That thing Alec Baldwin talks to when he’s hanging out with Jason Schwartzman. If not, I understand. After all, those were weird sentences I just typed. It’s called the Amazon Echo and you can talk to it to get answers, like Siri. Apparently you have to be careful as it can be activated by people talking on the TV or radio. I feel like a similar thing happened a few years ago with the latest Xbox. We’re not ready for voice activated technology, is the lesson I’m gathering. If you asked me to name songs from Dire Straits I would say, “Money for Nothing,” and the conversation would end. At least that’s how it used to end. They also have a song call “Walk of Life,” which I have heard a bunch but never knew what it was called or that it was by them. I learned this as it has been demonstrated to be the perfect song to add to the end of any movie to improve it. I like it best with Mad Max: Fury Road. Then again, that movie just rules and it could have ended with Pip farting on a snare drum and still be the best. Also, there’s really not a wrong answer as the song is a perfect fit for all movies. For those of you who think this should have been up there with the other movie articles, allow me to explain: shut up. Apparently Dire Straits also does that song that starts out, “A love struck Romeo.” I kind of like that song. I surprise myself with what I learn doing these Friday posts. Here’s a fact about me: I am a full on skeptic. I don’t believe in much, if anything. On a side note, while I don’t actually think Bigfoot is real, I am so fascinated by him and want him to be real. I’m like a Bigfoot agnostic. But this isn’t about Bigfoot. This is about phone psychics. I now I want to call one and ask if Miss Cleo is also now waiting tables. 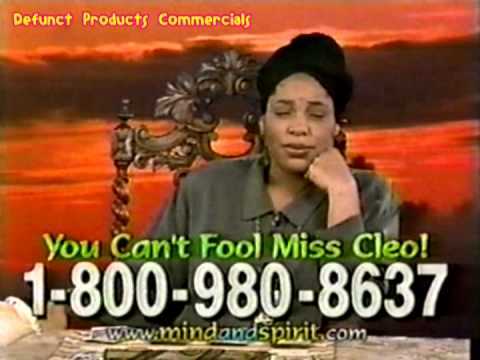 When was the last time you thought about Miss Cleo? I would say the accurate title is telephony psychic. Is there a name for someone who makes dad jokes without being a dad? “Have you taken a moment today to be grateful you’re not a magician?” Pete Holmes always asks the important questions. Short of yelling out, “Magnets!” I’m exactly the guy he describes trying to figure how the tick is done. It’s not because I want to ruin my fun, I just like knowing things. I have several links above all letting me know how movies are made. Why wouldn’t I want that with illusions? Tell me why I’m seeing what I’m seeing! I don’t know why this matters. Either way the outcome will always just be me walking away and getting on with my life. Will I need to show more respect if magic is considered a national treasure? I hope not, because I don’t really want to. Here’s a trick, abracadabra…and the week is gone! Have a great weekend everybody! There were more Pee Wee Herman tattoos than I expected. At press time UNC was still in it. GO TAR HEELS!